Thanks to Alex Hardman for getting me into this! Note that you can view the slides full screen by clicking the screen icon in the bottom right of the slideshare. When working with GIS boundaries, I'm often only really interested in them from a general point of view so that I can create simple choropleth maps. Also, if I'm trying to publish them over the web, there's no need to provide very accurate boundaries. Therefore, it's always useful to have different ways of simplifying boundaries. I have used various tools for this, including ET GeoWizards free tools and some of the in-built functionality of ArcGIS 9.x. 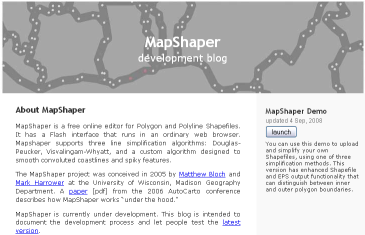 However, the most convenient and flexible tool I've come across so far is MapShaper. They have an alpha testing version of their Flash-based interface here and it's really easy to use. There is a 16MB file size limit, but I've still found it to be very effective. It doesn't require much (if any) expert knowledge of GIS or of file formats, and you can simplify or smooth using a number of different methods (see images below). All in all, a very useful tool! Caveats... New York could be the city or state, Seoul has some name issues that mean even if you use the simplified Chinese characters to seach the indexed pages result doesn't increase much, there is a massive English speaking bias here too (but then that reflects the real world to an extent). Also, the extent to which the web is US-centric comes out here. For comparison, Beijing/北京 returns (105+555 =) 660m. You'll also get different results day to day, with a general trend of increase. Okay, so these results are not at all scientific, but they do quite closely match the kinds of rankings you see in the academic, popular and web press. 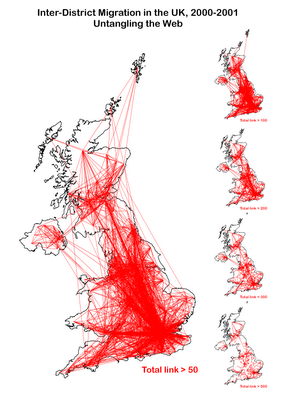 What about cities in the UK? Well, we have Manchester at 139m ( swelled by football references? 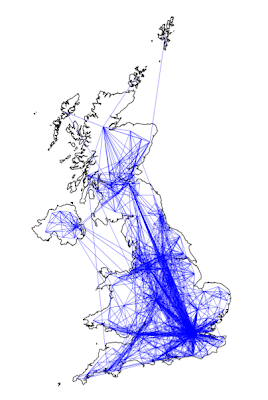 ), Birmingham at 85m, Glasgow at 58m, Edinburgh at 53m, Leeds at 46m, Sheffield at 39m and Inverness at 14m. No doubt there's a lot of noise in these results but again it mirrors other ways of measuring. In my work, I'm much more interested in the places far lower down the urban 'hierarchy' and not so much in rankings but it's interesting to see how this little exercise has turned out. ...call it what you like but the practice of recording what you do on your computer and making it available online is really beginning to become more widely used. I've been tracking things over the past couple of years - in addition to doing it myself and I've amassed quite a few bookmarks that mostly just sit there and get looked at by me when I need them. So, I thought it would be a good time to share some of my favourites. First, best to start off with the software for screencasting in the first place. I use Camtasia 5.1 (now it's at 6.0) but am aware that lots of other people like Captivate (more bells and whistles?). Then we've got free apps like Wink (not bad) or Camstudio (the first one I ever used) or a new player called ScreenToaster (which I first saw on demogirl). Can't forget Jing (ahead of its time?) either of course. There's more on the wiki page but that's not exhaustive either. You get the idea; the tools are out there, take your pick. Where did the term 'screencast' come from? If you believe the web then it's Jon Udell and in this case I've no reason do doubt it. However, maybe it should be Deeje Cooley we all thank. What do people do with it all? Well, all sorts really. Demonstrating software for promotional purposes on YouTube (ArcGIS 9.3), creating training DVDs like KnowGIS (I've got it - very high quality), archiving tens of thousands of videos some of which are free (there's a lot here! ), and the Idaho State Tax Commission also have their own take on screencasting GIS (I'm not making this up (but I am particularly proud of this find) - see). Not forgetting the web's uber-tuber demogirl herself (shameless promotion I know but it's a very useful blog). What do I do with it and why am I into screencasting? I record software skills with voiceovers to help students learn and I'm into it because it works. It works very well, if it's done correctly. I'm now in the process of trying to widen my audience but that's for another blog. I hope with all the new capabilities that the method will be more widely available and that it won't just be techie-nerds who do it. Enough. 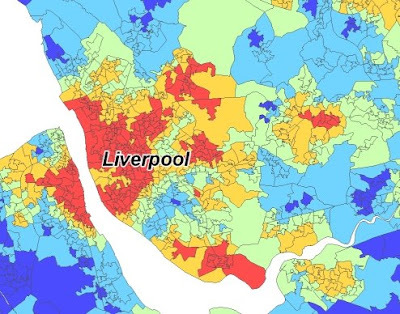 Much has been written in the academic literature about 'area effects', or how concentrations of poverty (or disadvantage, or deprivation, or whatever you want to call it) can act to create further disadvantage in terms of all sorts of things; from health to employment, to crime and so on. Another issue here is the extent to which the geography of deprivation has largely remained the same in cities across the United Kingdom. So, if we look back in time and follow neighbourhoods through to the present day many of the areas that we target with policy today were seen as 'problems' decades ago. Despite lots of money being spent on them, things have not got much better. 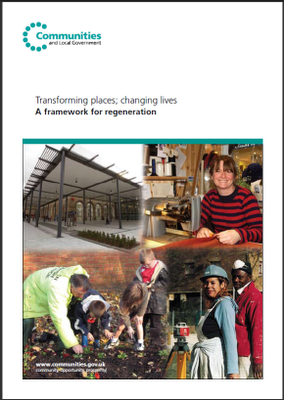 • creating sustainable places where people want to live and can work, and businesses want to invest. Some good ideas but have we any reason to think it will be any more effective than previous approaches? Maybe. There is a growing realisation that, after 40+ years of area-based initiatives in England, something just isn't right in the approach we take. The point of this post is to say that I concur with most of what's in the Framework but I don't there there is enough emphasis on the extent to which deprivation is a spatial phenomenon, as well as an attributional one. What I mean by this is that the spatial manifestation of deprivation also needs to be tackled head on. But first, it needs to be understood - and this is what my current research focus is on. I've blogged on this before, but I just wanted to re-emphasise it here since the Framework was on my mind. 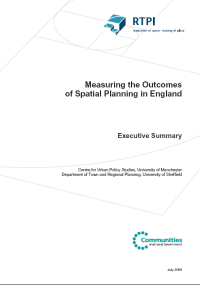 There's also a reference to a paper that I co-wrote (bottom of page 55) with some of the spatial context material in it. How Many People Live in Inverness? 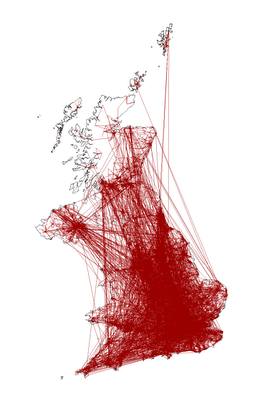 Coming back to a familiar topic here - that of the population of places. 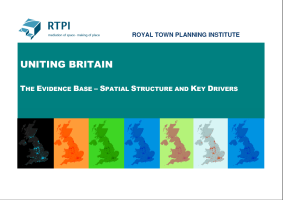 It is interesting in its own right - see this site for information on everywhere, but it is also pretty important in terms of policy formulation, implementation and delivery. Examples include Manchester's missing 25,000, (which equates to £7.5m in funding) and Slough's undercount of new migrants from outside the UK (which also has relevance for the Inverness case). Inverness is where I'm from and it's grown pretty quickly in terms of population over the past 20 years in particular, but there's some doubt as to exactly how many people live there. 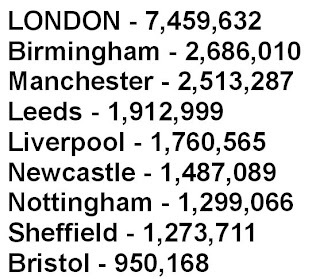 Everyone has ideas about this - from more generous figures (giving a 'city-region' population of 66,000 in 2001) to figures for the 'city' itself - a rather more conservative 40,949. This just illustrates the inherent difficulties in defining the population of places that have no statutory boundaries. 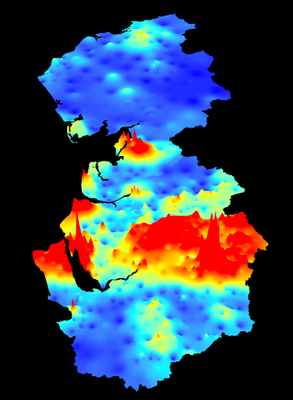 Even if that was the case, the difference between city populations and urban area populations is often very large, as in the case of Manchester (the district) and the Manchester city-region. So, once and for all the question has been answered. Or has it? Not much to say today but I thought I'd post this photo from my recent visit to Chicago. 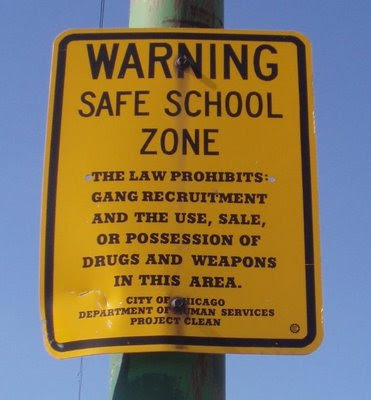 I took it during a tour of Chicago public housing (see, we do serious things at conferences). The school is no longer there and much of the neighbourhood is no longer there but the sign lingers on. It makes you wonder why it was there in the first place. Chicago is fascinating from this perspective but it's people's neighbourhoods and people's lives that are affected so it was good to meet a local activist and get the low-down from the inside. It also made me think back to Hoop Dreams and the relationships between people and places. Time for a short post on some of my more recent work. A lot of what I do deals with areas, deprivation and trying to understand the links between the two. 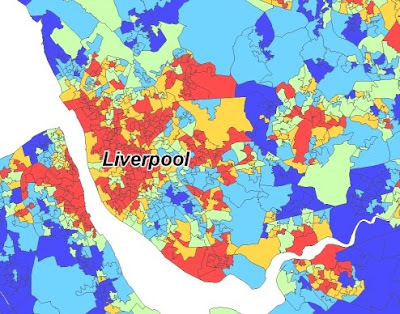 Since I live in Liverpool and work in Manchester, I've got a good idea about how some of the most deprived (according to the Index of Multiple Deprivation) areas look, where they are and how spatially clustered they are. I also think that the way we identify which areas ought to be the focus of policy could do with some refinement. So, here's what I've done. I took the 2004 IMD data and created what I like to call the NNIMD. That is, the Nearest Neighbour Index of Multiple Deprivation. I've written a paper on this for a journal (to appear around October 2009) but I decided in the meantime to update the work for the 2007 IMD and post on it here. 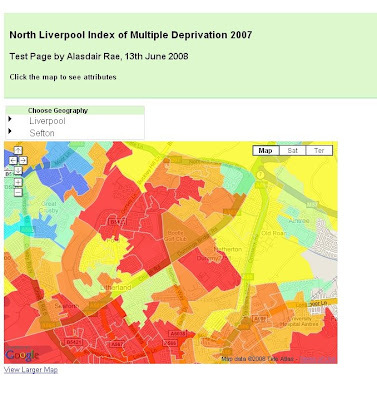 The NNIMD takes the IMD scores for all neighbours of an area and averages them to give what you might call a 'spatial context' or 'neighbourhood' deprivation value for each lower layer super output area. About time for another post I think. This time about things I'm doing with data which I turn into useable information in the hope that it can generate new knowledge. Well, that's the basic idea. 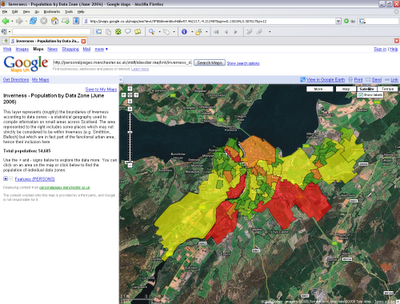 Specifically, I've been playing around with google mashup editor, kml and kmz files, and Index of Multiple Deprivation data for 2007. What I've been trying to do is work my way round methods to display IMD data on google maps so that anyone can view it, understand it and maybe even remember it. 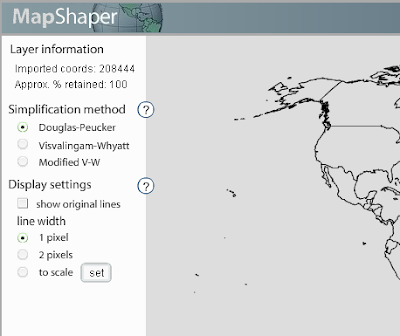 Since I'm on the subject of CASA, everyone with an interest in GIS/spatial analysis should go and see MapTube. This is really part of a much wider project about spatial literacy - which I am all for! I've said enough today. Will try a less technical post next time. A quick post on a common urban theme. 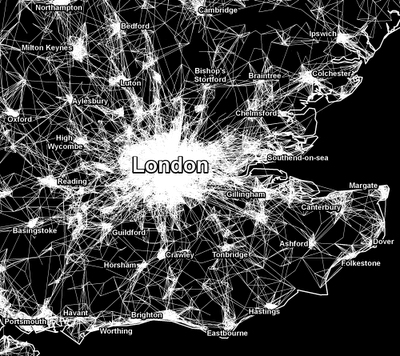 Answering the question of how many people live in a city is very tricky. Do you use the political boundaries of the local authority? Do you use the extent of the urban area? Do you use some other definition? 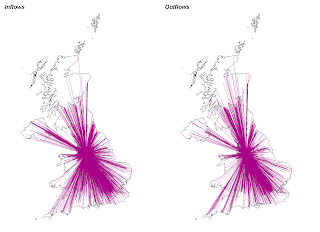 In a completely unscientific experiment, I've developed a different approach - and it turns out that the populations I come up with are not that different to those given for the city-regions of the places on my list. Others have written about how to do screencasts most effectively. Like I said in a previous post, much of it is very useful. I just thought I'd add my own rules that I use when creating screencasts just in case anyone is interested. 2. Make sure you record the screen at sensible size. 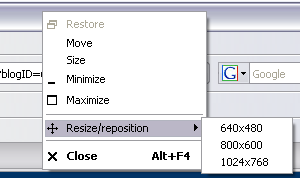 I use a window size of 800x600 and I get it to this size by using a great little app called sizer (see below). 3. Always record in Flash for movies of the highest quality and easy distribution over the web. 5. Go easy on the 'special effects'! Don't use the George Mallory approach. Works great for mountains but not for screen capture software. 7. Work towards a standard format that your viewers recognise and trust. I find this helps comprehension and makes learning easier. That's all for now. There's loads of other things I could have included but they are the ones that I think are most important. 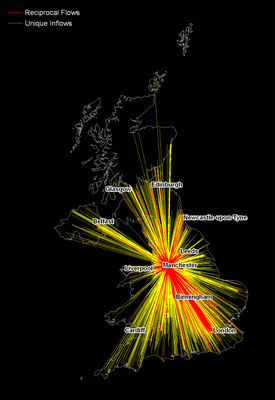 Just a quick post today regarding the issue of whether British 'cities are back'. Since the report of the Urban Task Force in 1999 and the much-cited 'urban renaissance' cities have been back on the agenda but in a more positive light than in the past. People now seem to want to live in them again, city-centre living has been given a new lease of life and huge amounts of public and private cash have been spent doing them up. However, is all of this a good thing? I would say that overall it is but I just wonder how sustainable it is. What are the implications if it all goes wrong and investors and people flood out of the cities once more? What if people don't really want to live in the shadow of tower blocks forever. 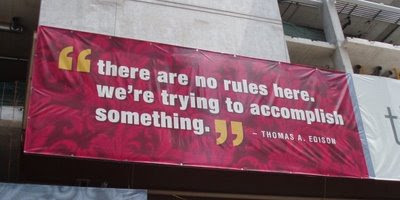 What if it is not really a renaissance? I took this picture in Glasgow in July 2004. Contrast between 1960's tower blocks at Red Road and 2000's new builds. Quite striking I think. 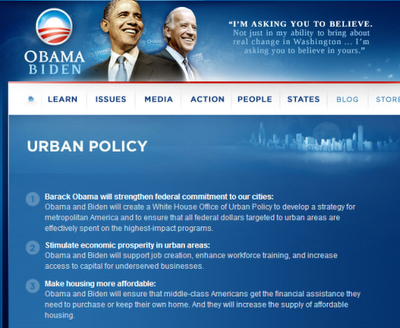 An illustration of how urban policy plays out in reality. We'll have to wait and see how the urban renaissance pans out but for now I suppose we ought to wish it all the best and keep track of how things go. Software like ArcGIS can be quite intimidating to new students with no experience of GIS so I find that the screencast approach is particularly effective. I'd like to think it will be much more widely used in higher education and in the teaching of GIS in particular within the next few years. The software is not difficult to learn (I use Camtasia Studio 5 but there are lots of other good tools out there - see this). That's all for now!